The title of this post is a direct quote from a young gentleman charged with law enforcement and the protection of citizens and animals alike due to the position and responsibilities that position entails. Rather says it all does it not?? Canada, the golden land of opportunity, welcoming with open arms all manner of newcomers, be they individuals looking to provide better lives for their families, or foreign investments looking to make a profit on the backs of our environment, our fresh water resources and our vast untapped mineral resources. Welcome…. Every year the Animal Legal Defense Fund issues it’s annual report naming the Best and the Worst places for an animal to live, based on the Provincial/Territorial Animal Protection Legislation in place. It would be safe to possibly conclude that reported cases of animal cruelty, the consequences faced by the perpetrator of such horrors and the overall outcome of Judicial proceedings may/may not also be taken into account. Afterall, as I have stated far too often to count…laws are not worth the paper they are written upon if they are not stringently enforced and justice for the animal victims is obtained. Note that you may download your own copy of the ALDF Report by visiting their site, it is a one time free download which is updated yearly. Here’s the full ranking list: as of the report issued in 2010 and 2011. You will note that very little has changed. The NWT and Nunavut were tied as the Best Place to Abuse Animals in 2010. However with the victorious three year battle for animal protection in the NWT, seeing the new NWT Dog Act come into effect in May 2011 (still only pertains to dogs) the NWT moved from Worst to now rank No. 11 in the Bottom Tier. Nunavut is now the Best Place to Abuse Animals and Alberta and Quebec also have remained stagnant in the Bottom Tier. Quebec has moved down a notch ranking at number 11 now. Congrats to Quebec….which brings us to the issue of Berger Blanc in Montreal. 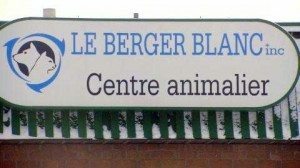 For years Montrealers have been loudly protesting the horrific cruelty that animals are subjected to thanks to Berger Blanc. Are they being listened to?? Obviously not at all. The horrors continue without consequence. Just what will it take to SHUT DOWN Berger Blanc???????? What will it take for the taxpayed politicians in Montreal who hold their positions/jobs and lifestyles to come clean and do the right thing and meet the demands of the Montrealers to shut this operation of gross horrors down????? Will it take International Scrutiny? Will it take the shining light of NEGATIVITY, the Public Humiliation and the Pointing of Global Fingers and Protest before the powers that be in Montreal do something????? It certainly seems that way. Will it take the NEGATIVE effect such publicity can have on needed TOURISM, and subsequent retail and hospitality industry losses before the Powers that BE wake up and ‘get it’??? Unfortunately that is exactly what it sometimes takes. The NEGATIVE spotlight that shone so brightly on the NWT (Northwest Territories) for over three years drew Global as well as North American attention. Emails, comments, loud voices from around the world played a very large part in bringing about much needed positive change here. The support from large Canadian Animal Advocate Groups, that took a stance, submitted their own letters and critiques to the Territorial Government in support of the Legislative changes, the documented and pictorial evidence which I prepared and submitted on a regular basis, the countless study papers on the LINK between Animal Cruelty and Human Violence which I also submitted and the needed support from NWT residents….all of it played a huge role in winning, for the first time in NWT history, protection for dogs up here. So if the same must be done to enable the caring, responsible pet lovers and owners in Montreal to be heard…to have For Profit Berger Blanc……scrutinized and pointed at by Global fingers…..if it must take a Global protest to end the horrors these innocent animals endure at the hands of Berger Blanc…….then So Be It. Berger Blanc is a shining example of inadequate Provincial Legislation to Protect Animals. Berger Blanc is a perfect example of the archaic, inadequate Canadian Federal Animal Protection Legislation that permeates this country and allows such operations to exist. In a joint effort with Quebec contacts, more information concerning this appalling, disgusting, intolerable, inhumane, irresponsible, unacceptable situation will be exposed on a grand scale to the International/Global community. UNITED we made a positive difference in the Northwest Territories, UNITED we can make a positive difference in Montreal and Quebec period!! “On Thursday April 21 at 20:00 Radio Canada’s investigative program Enquête presents a disturbing exposé of Berger Blanc, the for-profit business entrusted with control of, and care for, Montréal’s exploding population of unwanted companion animals, a population which has now reached crisis proportions. This program, Mauvais Berger, exposes Berger Blanc’s abysmal standards of animal care and customer service, and lack of promotion of responsible pet ownership. The images and issues addressed in Mauvais Berger invite a wider consideration of how this for-profit business, unrestrained by weak municipal by-laws, inadequate provincial legislation or effective monitoring, thrives on an ever-expanding supply of abandoned animals. Berger Blancs’ disregard of this fundamental problem of overpopulation ensures a constant flow of ‘clients’, and hence its own financial advancement. BLOGGERS COMMENT:THANK YOU TO THE CANADIAN HORSE DEFENCE COALITION FOR ALL OF THE AMAZING WORK YOU ARE DOING!!!!! Recently I was told that I should bring up the subject of horse slaughter at the political forum that was held on April 16th 2012 in Coaldale, Alberta by Little Bow NDP candidate Bev Muendel-Atherstone, where she along with Everett Tanis (Liberal), John Kolk (PC) & Ian Donovan (Wildrose) also Little Bow candidates. I was so disgusted that I took the buttons I had on my coat, in support of Bev Muendel-Atherton & then I got up & walked out. When I got home, I immediately removed my lawn & signs that I had supporting Bev Muendel-Atherton & threw them straight into the garbage. Once I calmed down, I decided to email all of them, so they could see for themselves the realities of horse slaughter (I have included it at the bottom if you are interested in reading it, along with the replies I have gotten thus far). I made sure to go into detail, so everything was crystal clear & I provided them with links to the undercover investigations, the video of the horse dealer that came forward & confessed to the horrors horses are subjected to & the letter Alex Atamanenko wrote to Mr. George Da Pont, President of the Canadian Food Inspection Agency (CFIA). So far, I have only heard back from John Kolk & Bev Muendel-Atherton. John Kolk completely brushed it all off, while Bev Muendel-Atherton went with trying to change the subject. I replied back to both, calling them out on the fact that neither one of them even bothered to click on a single link, because their attitude towards horse slaughter would change drastically if they were to do even the most minimal amount of research. It makes my blood boil to know that all the candidates support horse slaughter & actually believe that it’s done correctly & humanely. I’m so over the ignorance towards the truth. The fact that none of them (as of yet) have bothered to look into the information that I have sent them, proves that they are just as sick as the rest of the people who are living lavishly off the blood money they receive. We need to force the Government to do the right thing, we must let them know that we will not allow our horses to be tortured, abused, maimed & killed in the most barbaric way, we will not tolerate them purposely poisoning people, just to make a buck. The time has come for them to get their heads out of their asses & smarten the hell up. The Government needs to be held accountable for their irresponsible & selfish decisions & actions. The time for excuses, wool pulling, head in the sand & cover up’s are over. If they claim to not want to sell tainted beef, chicken, pork, etc, than they sure as hell shouldn’t be allowing tainted horse meat to be sold & exported. It’s common sense, but they have none. They need to start understanding that if it weren’t for the people who voted for them, they would not be where they are, therefore they better start listening to us. Horse meat, as well all know already, will never be safe to eat, there has never been & will never be any possible way to ensure that horses who were givenBute, wont enter the food chain. There will never be a way to humanely euthanize a horse in a slaughter plant & no one will ever care about their well being during transport. We all get it, so why doesn’t anyone who can do something about it get it? When will they stop wanting to profit from making people sick? They can not say that they are unaware of the truth, because I have provided them with the answers. Due to the time limit when asking questions at the forum held in Coaldale last night, I could not get into the details, this will tell you about the importance of why horse slaughter must be ended in Canada, as well as the import & export of horse into & out of Canada for the purpose of slaughter. This email is filled with facts, not accusations, myths, beliefs & theories, but actual facts. I hope this helps you to better understand that horse slaughter is in fact not done correctly & is so far from humane. There is no need for it, as I have said before, only 16% of the entire world’s population eat horse meat, so unlike beef, chicken, pork, etc, there is no demand high enough for it to be considered a necessity. The law states that every horse that goes to slaughter MUST be accompanied with their original papers, to show their medical history & if they had been given drugs that are banned by the FDA & CFIA in animals intended for human consumption, yet this is impossible & rarely the case since so many horses have gone through multiple owners, are bought at auction & have even been stolen. The most common drug that is given to horses, is Bute(Phenylbutazone) which is an analgesic (relieves pain) and anti-inflammatory medication, that is as common in horses, as aspirin is to people. The warning label reads; Health risks. Humans should not inhale or ingest Bute. Wash hands immediately after administering Bute. In humans, bone marrow, renal, cardiovascular and gastrointestinal side effects are associated with use of Phenylbutazone. Bute is a drug that is not only banned in animals intended for human consumption, but a drug that never leaves the system once it had been administered. Tests may say that the carcass is free of Bute, but the tests is not done on the part of the carcass where Bute can be found (in the Kidneys). Therefore, no amount of guaranteeing a horse that has ever had Bute given to them, will ever make their meat safe to eat. Racehorses are also commonly sent to slaughter plants & we know they are given Bute, as is the case with any privately owned horse. There has never been & never will be any way possible to ensure that horses going to slaughter, for the purpose of human consumption, are free of drugs such as Bute, yet no one in the Government seems to care. Why? Because horse slaughter is a great way to pad their wallets? That must be it, because there is not one benefit to horse slaughter, that isn’t monetary & that is only for those who benefit directly from the slaughter industry, which is only the people who are involved with horse slaughter (buyers, transporters, people in the plant, horse racing, PMU farms, Nurse mares, etc.) & the Government. So I ask you, why is it not ok to allow consumers to eat tainted pork, beef, chicken, turkey or fish, but it is perfectly acceptable to allow consumers to eat tainted horse meat. I do understand that there are still people who do not know the realities of horse slaughter, but with all of the information out there & how easily it can be accessed, the time for excuses, wool pulling, head in the sand & cover up’s are over, it is time for action & the majority of Canadians, as well as many other people in many other countries, are demanding that horse slaughter be abolished once & for all. We will not be quiet & we will not stop, until horse slaughter & the import/export of horses for slaughter has been banned, forever. Its the voters who put you into office & once there it is not only your job, it is your responsibly to listen to the people who put their trust in you. Thank you for taking the time to really look into these truths. I am just extremely passionate about ending the needless horse slaughter. 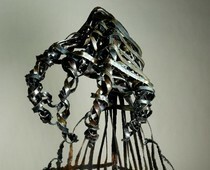 I am adding links to videos that I really do hope you will take the time to view. I am also including the video of the former killer buyer, who confessed to the horrors the horses go through during transport to the slaughter plants. I understand that this is just one person saying these things, but this is common practice with kill buyers & transporters. I do understand that some people think the undercover investigations were faked, which I can assure you were not. There is no way possible to fake such inhumane practices. I also understand that many can not bring themselves to view these videos, but I beg of you to do so. I have seen every one of them & through the tears of my broken heart & infuriating rage, I managed to pull myself together & fight even harder to stop this. If you were to watch these or even read the reports, I promise you that you will agree that this is not even sort of ok.
Another point I am desperately trying to make is that horse meat is extremely unsafe for human consumption & these investigations do prove it. Just read the reports aboutButealone. I will let you get on with your day, I just ask that you please have enough heart to look at this, watch the videos & read the reports. By getting behind Bill C-322 & helping to end horse slaughter, it will not only save our horses, it will save human lives & be a part of history. I will start with the most recent investigation (July 13 & 14. 2011), followed by the older ones & finally the testimony of a former killer buyer. Below the link to the 3 heart-wrenching & extremely unjust videos on the CHDC page “Chambers of Carnage”, you can read the reports of the veterinarians who viewed this atrocity & wrote reports on it. I know that it was said during that forum that if there was something that could be heard from veterinarians, then views about horse slaughter may change, well as you will see, there are detailed reports by qualified veterinarians, who have spoken out about what they have seen, what they know & why horse slaughter is not only inhumane, but dangerous to the people who work in the slaughter plants, as well as the consumers who eat horse meat. Here is my reply to John. You’re welcome. Maybe one day you will click on the links & see the truth about horse slaughter, I’d be really interested in how you feel about it afterwards. Thanks so much for your extensive e-mail about horse slaughter and the realities of it. Lethbridgeand Coaldale is Mr. Jim Hillyar. His office is in downtownLethbridge. Thanks again for your concern and interest in the horse slaughter issue. I must apologize once again, when listening to the video that was taken of your response to my question about Bill C-322, you said you would have to read the Bill, I should have sent you a copy. I will give you a link to it, so you may do so. I do hope that you will really look into this & see for yourself, the reality of it all. Thank you for taking the time to look at my email, I am sure however, that if you had taken a look at the videos, your view of horse slaughter would drastically change. If not for the inhumane aspects of horse slaughter, then at least for the health issues associated with horse meat. It is impossible to say you are an avid horse lover, while supporting the torture, abuse & horrific way in which they are so inhumanely & improperly killed at the slaughter plants, not to mention the torture & fear they go through during transport. Many horses are horribly injured, downed & even killed during transport. You are the one who told me about that forum in Coaldale & that I should come there & bring up the subject of horse slaughter. I told you as you were handing me the signs & buttons that I felt we had to get NDP in office because you are the only party who want to end horse slaughter & who actually realize that it’s poisoning people. You just stood there & said “Yea, absolutely”, but once asked in front of the towns people what your stand on horse slaughter was, you said “As long as it’s done in a humane way & we take care of our wild horses & to leave it up to the vets & have the veterinarian inspection systems look after it & ensure that they are not stressed when they are shot or killed, but at this point you have no reason to believe that there is anything wrong with this Bill. Well, I have provided you with more than you have asked for, to prove to you that those horses ARE in fact stressed when shot & killed, yet I know by your reply that you have not even looked at any of it. Well I did & I must be honest, when I heard that you support horse slaughter, I lost a lot of respect for you. I am not the only one who was surprised to hear that an NDP was for horse slaughter, everyone I have spoken to since, have all been shocked. As for Jim Hillyer, I had lost respect for him long ago, when I had first brought this to his attention & he not only ignored my emails, he had one of his aids doing the dirty work for him. If I wanted someone’s aid to view the videos & look at the facts, I would address my emails & letters to them. I have sent numerous emails to Jim Hillyer, only to hear back from one of his aids & I was told that Mr. Hillyer has no interest in viewing the facts & that he was waiting for the next reading of Bill C-322 before he makes his decision on whether he if for or against horse slaughter, that time has come & gone & he still refuses to say a word. As far as I am concerned, if an elected official does not care about such serious matters & ones that most Canadians are against, than he is of no use to me, or to Canada. With the highest cowboy boot per capita ratio in the country, Alberta would seem the most natural place in Canada for wild horses to roam. Crammed into a small pen, they were so emaciated their hip and rib bones were showing. Some were crippled, and others listless with swollen jaws consistent with equine distemper, according to interviews and sheriff’s reports. Witnesses reported no food or water in the pen, located in Albuquerque’s South Valley. A Bernalillo County deputy, with help from the District Attorney’s Office, filed 16 counts of animal cruelty and neglect against the owner of the horses, Dennis V. Chavez. Now that same Dennis V. Chavez faces new allegations of animal cruelty and neglect involving horses at his Los Lunas livestock auction business in a case that has made international news. To view email online, please click here. The Bureau of Land Management (BLM) is giving the public just 13 days to comment on an Environmental Assessment (EA) for its proposed roundup and removal of 630 wild horses from the Jackson Mountains Herd Management Area (HMA) in northwestern Nevada. The BLM’s Carson City Field Office oversees 21 Herd Areas in a state where over half of the nation’s remaining wild horses and burros reside. The Carson City BLM is seeking public comments on revisions to its Resource Management Plan, which sets the land use policy for this area north of Reno. This is the stage in the planning process where public comments can make a real difference in shaping the final policy that will affect wild horses and burros for the next 10-20 years. Please demand fairer and more humane treatment for Nevada’s wild horses and burros and take easy action by clicking here or below. The fine pedigree of Royale with Speed), grandson of the legendary racehorse Secretariat, was not enough to spare him from the cruel fate suffered by over 100,000 American horses a year. Dumped at a killpen in Iowa, he was found by PETA investigators who tracked the plight of 33 horses on a brutal 1,100-mile, 36-hour journey in subfreezing temperatures to a Canadian slaughterhouse. Last week, the BLM announced that it was moving forward with philanthropist and wild horse advocate Madeleine Pickens’ proposal to develop a wild horse ecosanctuary in Elko, Nevada. The ecosanctuary would offer a home on the range at Mrs. Pickens’ 14,000-acre ranch for 900 captured wild horses currently held in BLM short-term holding facilities. Thanks to you, the BLM received over 4,000 comments opposing the removal of burros from the Piute Mountain Herd Area and from outside the Chocolate-Mule Mountains Herd Management Area in southern California. The growing outrage over the BLM’s roundup and removal of burros from the Mojave Desert drew the attention of the Huffington Post, which ran an article that featured footage of burro abuse by a BLM helicopter. WASHINGTON (April 27, 2012)-The Humane Society of the United States issued a report detailing the food safety risks associated with consuming meat that originates in American horses. Horses in the U.S. are primarily used for companionship or competition, therefore they are not treated in the same way as animals raised for human consumption. Horses are commonly given pharmaceuticals that have been banned for use in food-producing animals by the U.S. Food and Drug Administration and the European Commission’s Food and Veterinary Office. Americans don’t eat horses, but each year more than 100,000 U.S. horses are transported over the border to be slaughtered in Canada and Mexico, and the meat is exported for consumption in the European Union and Japan. Indeed, research shows that horses originating in the U.S. comprise a large percentage of the total slaughterhouse output of Canada and Mexico. The EU has found horsemeat from Mexican slaughterhouses contains harmful residues of several EU prohibited substances. A study of the medical records of race horses sent to slaughter shows that horses with a history of phenylbutazone use are making their way to slaughter plants despite the United States’ and other countries’ ban of the use of the drug in food producing animals. Phenylbutazone, commonly called “bute,” is an anti-inflammatory regularly given to horses, and it is known to be hazardous to humans, even in trace amounts. In 2010, the European Commission’s Food and Veterinary Office evaluated food safety standards for imported horsemeat and found that many countries do not keep adequate veterinary pharmaceutical records nor are there systems in place to differentiate those equines raised for human consumption from those that are not. Therefore, effective July 2013, the EU will require that all horses presented for slaughter at EU-certified plants in countries which export horsemeat to the EU have a veterinary record listing all medications they have been given over their lifetime. This new regulation would render nearly all American horses ineligible for foreign slaughter. The Humane Society of the United States and Front Range Equine Rescue have filed legal petitions with both the FDA and the U.S. Department of Agriculture to block companion, working and show horses from being slaughtered for human consumption, due to the associated health risks. The petition documents more than 110 examples of drugs and other substances which are, or potentially should be, prohibited in food-producing horses, describes the horrible way in which horses die at slaughterhouses, and outlines the environmental devastation that has been associated with slaughter plants. Even though horses are not currently slaughtered for human consumption in the U.S., our horses are still being subjected to intense suffering and abuse through transport and slaughter over the border. Undercover footage shows live horses being dragged, whipped, and crammed into trucks in with interior temperatures reaching 110 degrees. Horses are often shipped for more than 24 hours at a time without food, water, or rest. Pregnant mares, foals, injured horses, and even blind horses must endure the journey. In November 2011, Congress chose not to renew a prohibition on spending tax dollars to facilitate horse slaughter, which had been in place for five years, potentially opening the door for a return of horse slaughter plants on American soil, despite broad opposition in this country to the practice. USDA documented a history of abuse and cruelty at the U.S. plants, including employees whipping horses in the face, horses giving birth on the killing floors, and horses arriving with gruesome injuries. It is not only horses who are old, sick and infirm which fall victim to horse slaughter. USDA statistics show that 92 percent of all horses sent to slaughter arrive in “good” condition-meaning they are sound, in good health and could go on to lead productive lives. Horse slaughter actually prevents horse rescue; rescue operators are routinely outbid by killer buyers at auctions. The operation of horse slaughterhouses has a negative environmental impact. All three of the last domestic plants to close were in violation of local environmental laws related to the disposal of blood and other waste materials. Congress is considering the American Horse Slaughter Prevention Act, S. 1176 introduced by Sens. Mary Landrieu, D-La., and Lindsey Graham, R-S.C., and H.R. 2966 introduced by Reps. Dan Burton, R-Ind., and Jan Schakowsky, D-Ill., to prevent horse slaughter plants from opening in the U.S. and stop the export of American horses for the purpose of slaughter in Canada and Mexico. The Humane Society of the United States is the nation’s largest animal protection organization – backed by 11 million Americans, or one of every 28. For more than a half-century, The HSUS has been fighting for the protection of all animals through advocacy, education and hands-on programs. Celebrating animals and confronting cruelty – On the Web at humanesociety.org. Equine Experts Unite to Ban Horse Slaughter. How does one put into words the total disgust, outrage, anger, frustration and incredulous disbelief one experiences when faced with the outright complacent attitudes and inactivity of government officials which our tax dollars provide affluent lifestyles for…while all our shouts of protest and calls for positive action are totally ignored. Well one cannot put into one word the emotions as described above. While U.S. advocates continue to battle to Save America’s Horses, while the U.S. government fails to honor the Legal Bill passed so long ago to protect designated lands provided for wild horses and burros within the States….the special interest groups continue to fill the political coffers in their unending campaign to ensure that the Bureau of Land Management continues brutal roundups, the capture of an Historical Icon and ship these terrified, injured and magnificent horses thousands of miles to end their lives in the most horrific manner imaginable. While all this is going on in the United Sates, Canadian wild horses are facing the same prejudice, the same round ups and the same horrors in slaughterhouses within Canada. 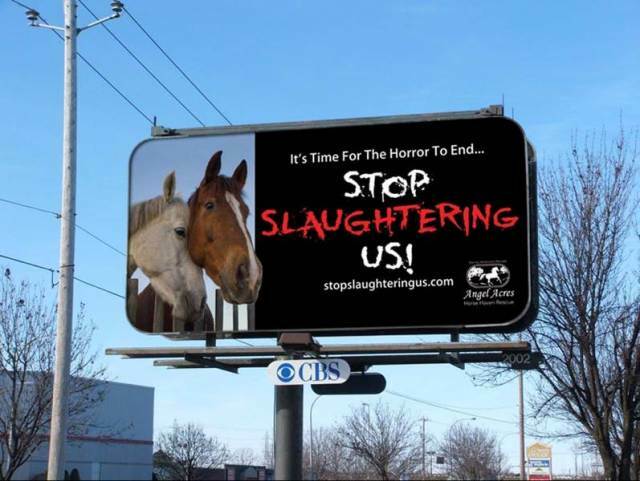 It is bad enough that Canada enables the U.S. slaughter by importing U.S. horses into this country….to know that our own horses face these very same horrors is mind blowing. Petition: Stop the SLAUGHTER of Wild Horses in Alberta! Horses have a right to live and be free. They should be afforded the rights and protection of other species of wildlife and not considered a nuisance or a pest. As with the grizzly bear, moose, deer, elk or mountain sheep they are an important part of the overall ecological make-up of this unique area of Alberta. The horse became an important animal in helping settle and open this province. Our entire western culture and heritage focuses around horses and the chores that they performed for us. The horse broke the land, hauled produce and helped harvest our forests and crops. They helped the ranchers in the operation of their cattle ranches. They were an important part of the everyday life of the early Albertans being the only means of transportation. As late as 1985 there were estimated to be over a thousand free roaming wild horses in the foothills of Alberta. Today less than 300 hundred remain in Alberta and those are being killed as well. Now even domestic Canadian horses are losing their lives and the lives of their new born to the government policies within this country. Should we be surprised……nothing surprises this writer any more. The horrors just keep piling in, every single day, every single week, each and every year!!!!! Mare sniffing her dead foal which was killed moments after it was born !!!!! NICE TO SEE OUR TAX DOLLARS HARD AT WORK!!!!!! 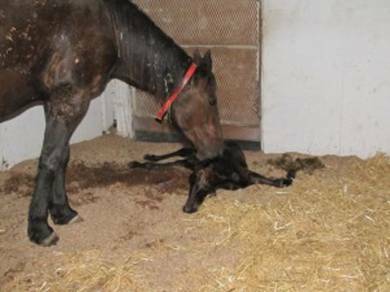 The decision to end provincial funding for Ontario’s harness racing may kill more than the industry – it’s resulting in the death of an unknown number of this year’s crop of new foals. QMI Agency spoke to a number of sources who say breeders are now are euthanizing their foals moments after birth because they fear financial ruin if they have to raise the horses with no chance of recouping their investment. The practice is happening because of the cost of raising horses, which can approach $10,000 — not including stud fees which range between $2,500 and $20,000. Standardbred Canada Registrar Pat Kennedy said her organization’s figures show 130 stallions bred nearly 4,000 mares in Ontario. The number of foals resulting is estimated to be in the 70% range, meaning 3,000 births this year. She said the crisis means owners may not breed mares, nor register them. A local horse owner who asked not to be identified, said euthanizing healthy foals began at the start of the birthing season — about a month ago. Richard Moylan, a thoroughbred stallion breeder based out of Orangeville, felt “shocked and disgusted” when he read in the Sun that funding to the horse racing industry is coming to an end. He’s seen here with a foal born Friday. Horse breeders have been brought to tears at the news that the end of the racetrack slots-revenue sharing program is going to result in the death of hundreds of horses. Canadians: Act Now to Ban Horse Slaughter! PETA is asking Canadians to act to get horse slaughter banned. Also, Jillian Michaels adopted a Thoroughbred who appeared in the video. This Thoroughbred was on his way to slaughter. A Benefit Concert was held on Saturday, April 7, at the Ice House in downtown Evergreen, to raise money for vet costs and proper feed for rescued horses: The concert was a success. The six horses were taken from Echo Valley Ranch in Bailey on Feb. 23 after Routt County authorities called the Park County Sheriff’s Office, said Park County Undersheriff Monte Gore. Horse owners Ron Swift and Randal Hatlee have each been charged with three counts of misdemeanor animal cruelty and will appear in Park County Court, Gore said. Routt County officers were checking on a previously abused horse they had sent to the ranch and were concerned about the gaunt appearance of several horses. Park County sent code enforcement officers to investigate. While other horses on the property looked healthy, six appeared to be underfed, according to Gore. Since being taken into custody at undisclosed clinics, the horses have been doing well. They each gained anywhere from 10 to 72 pounds in 15 days, which points to the theory that they were underfed, Gore said. It has been learned that one of the horses named Maggie died. It has also been learned that these rescued horses were, by order of the Court, returned to the owners!! Ridiculous and unacceptable!!!! “Severely neglected (photos available) horses were awarded back to Ron Swift, as per judge Green of Park County, yesterday. We organized a highly publicized fundraiser to pay the vet bill to nurse these animals back. One died, another was found frozen on ground near death. Remaining horses were moved to undisclosed location vet due to high publicity. Court date is May 15th, they must not be permanently returned, they will not survive the coming winter. Against all common sense and facts these horses were ordered returned like pawns for political vendettas or personal agendas. It is a disgrace. Those assigned to protect these innocents from further suffering and abuse ought to get a clue what their job duties are and remain. These horses just survived a terrible fate – and were returned to the same place where they were neglected. How is that for American common sense and professional integrity ??? Had the first vet, on whose presence Mr. Steven Sullivan, Park county Deputy District Attorney, so relies on… done her job and Swift fed/cared for the horses, we would not have this conversation. Not sure what more evidence this District Attorney needs to see, as what the rest of the world sees in this mess is enough to make Park County a place of embarrassment, bloody cover ups and ignorance. I hope people up there wake up to the scheme that is played out and how defenseless horses have become pucks in a hockey game of blind poking matches. Thank you Undersheriff and deputies for having seized the horses, as they would have surely died. One can only hope your continued baby sit services to monitor these horses at tax payers expenses will not be needed, as they ought to be relinquished to good homes who remember that domesticated horses can’t be reversed into “wild” ones, especially when fenced in. Please sign the above petition and share. Thank you. What is needed now is a public support campaign by Park county residents, constituents of the system deciding the fate of these horses. 1) The claim that a vet was on sight or having treated these animals prior to seizure ought to be scrutinized further, to a higher instance, which I believe is the State Veterinarian Board. (When horses were seized they improved thereafter immediately, see weight chart, photos available provided by Park Cty). The above slide show photos show the 2 year old colt, weighing about 300 lbs. instead of 700 or more, who was hauled in on Feb. 16 under the Routt County impound. He wears a foal’s blanket in the slide show! The other horse to be impounded along with him by Routt County had already died. You can see the other horses in his herd at the end of the slide show may be in even worse condition. 2) Two veterinarians’ affidavit’s ought to be mandated in any case of advanced neglect, whether the claimed cause/reasons of found health status are illness, neglect or abuse. In a case such as this, where as doubt exists clearly based on evidence of photos taken of said horses showing their advanced state of neglect, the claimed fact of a vet having treated said horses prior to seizure (Feb.16) needs to be investigated, with said vet records being subpoenad as evidence. 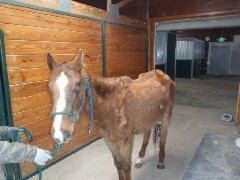 (Affidavit by other vet treating the colt impounded by Routt Cty. and on same property in same horrific condition, could be obtained for the investigation by authorities prosecuting this case). 3) Public knowledge and awareness of these inconsistencies existing within a system, whereas individuals assigned to carry out a job duty to protect said animals from further suffering, is a necessary tool to continue the momentum in the publicity this case has generated. Anyone knowing anyone residing in Park County ought to be contacted and inquired upon to lend their support to this campaign by expressing their concern in regards to the surrender to said horses back to the bad situation out of which they were rescued by Animal Control, who did their job in the nick of time to save these horses. One horse, to be impounded with the colt by Routt county, died, and the deplorable conditions of others in photos speak volumes and truth. 4) The fact that they were returned with “no probable cause” is not acceptable, as there is sufficient evidence (photos of their condition at seizure date), and a complete absence of common sense resulting in this mess. Animal Control has done its job by seizing the animals out of danger. For horses to be returned before criminal investigation is over and prior to said court date of May 15th is imprudent, reflecting a total lack of integrity on District Attorney’s part to carry out his job duties in what he is assigned to do. 5) A reminder to officials/decision makers in this case that the public is watching is the only hope these horses have. The next goal is to find LOCAL support by residents of Park county, which requires all of us to find people who reside there, get them informed on this questionable conduct by a few within a system that has too long gone on unnoticed, get a public push to “clean house” before there is no animal welfare, civil rights, or due process left. Residents of Park Cty. can demand these horses not be returned permanently and to further prohibit Swift from having horses, as he seems neither capable nor willing to care for them, whatever may be the reasons. Probation or a misdemeanor is not going to prevent them from the coming winter or/and the consequences thereof. 6) Letters. Any contacts willing to join forces in a letter campaign prior to court date, please send them the photos attached. It does not take an Einstein nor a horse “expert” to assess the evidence on these photos and horses’ debilitated advanced state of neglect, with Chance being near Henneke 1. The system needs reminding by the public what their job duties are, whom they serve and the public to demand them to be carried out with a public pressure campaign. I ask that you all get involved with this next step – find Park county residents to drum up support. I believe the D.A. is elected and I can only hope he will not get another term, if this injustice will be his responsibility. In this time of age where political agendas and corruption reckon over the very welfare and protection of animals, and whereas some within a system simply fail to carry out their job duties, we as a people are the only hope for these animals. This case clearly reflects the need to carry on with our pressure. As the animals were seized under court order, I was told by Park County Animal Control that a judge from Canon City (Fremont Cty.) signed the court order. Since Deputy D.A. Steve Sullivan is in the position to push for justice and has apparently not done so, either by failing to present evidence or claiming a cause – the judge had no choice in this but to return the animals. So the problem may lay with the D.A. as it has seemingly been for a long time and he had no comment in this case to protect the horses. Park county perhaps too long has been a place of unnoticed injustices against animals – carried out by some with a fancy title, personal agenda or financial motives, yet ineffective to protect those they are assigned to protect and therefore become pawns of political agendas in the end. Since the Dept. of Agriculture, the Bureau of Animal Protection and its “professional agents” once again seem to conveniently stay out of the matter, I ask that you step up and continue to support this mission. If court date of May 15th (Tuesday) stands for this case, a protest in Fairplay could be a step to lend our voices. Prosecutors, probation officers, and police should always urge the court to make forfeiture of the animal victims part of the sentence imposed in a cruelty or fighting case. In some states, the court is at liberty to direct return of some or all of the animals to the owner even following a conviction. Laws should be drafted to require forfeiture as part of the sentence in all animal fighting cases and in most if not all cruelty cases. Securing a conviction in an animal cruelty or animal fighting case is just part of the goal of the prosecution. Ensuring that animal victims are not returned to their abusers when the criminal case is over is equally important to ensuring a just and humane result in these cases. In the digital age, local issues have increasingly become global. The Canadian East Coast commercial seal slaughter — the largest slaughter of marine mammals in the world — is a case in point. Footage of live gaffing, injured seals escaping into the water to die slowly, and piles of baby seal carcasses left to rot on the ice have resulted in international condemnation and officials in global markets rejecting these products of cruelty. And with recent bans on the trade in harp seal skins in Russia, Belarus and Kazakhstan, what little market remained for the Canadian sealing industry following the 2009 European Union prohibition on seal product trade has now been eliminated. Let’s not forget that the United States, Mexico and others have also implemented similar bans, and despite millions in taxpayer dollars spent by the federal government, markets in China have failed to materialize. With so many international markets closed, one of the largest Canadian seal processing companies, NuTan Furs Inc., announced it would stop processing seals and shift its operations to other products. Yet in an unbelievably irresponsible move, the government of Newfoundland announced on April 5 that it will provide $3.6 million to subsidize the foreign-owned Carino Processing Limited so that they will now add to the 400,000 seal furs already reportedly stockpiled in warehouses around the globe. This additional subsidy is a fraction of the cost that taxpayers will be picking up this year to sustain the dying commercial seal slaughter. Additional taxpayer money is used for, among other things, Coast Guard support for the seal hunt including icebreaking services, grants to seal product processors and marketers, and costly international legal challenges to try to reverse seal product trade bans. These government handouts will not be enough to hold back the other reason this slaughter will end. Climate change has caused a steady deterioration in the Gulf of St. Lawrence and off of the front of Newfoundland. Harp seals depend on sea ice for whelping, and according to the Department of Fisheries and Oceans, harp seal pup mortality in areas where ice does not form or breaks up too early can be as high as 100 per cent. Climate change not only causes high mortality in harp seals. Ultimately, it will cause the sea ice — and surviving seals on it — to recede north, beyond the range of the commercial sealing industry. The end of the commercial sealing industry is inevitable. It’s time to take the politics out of the debate and redirect wasted taxpayer-supported subsidies to buy out the sealing licenses and to provide truly sustainable economic development programs to affected rural communities on the East Coast of Canada. 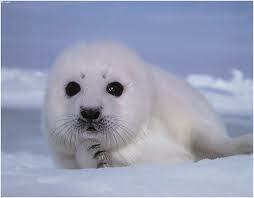 The economic and climate change realities are not lost on those actually doing the sealing. A 2010 poll revealed that half of Newfoundland sealers who expressed an opinion actually supported a sealing industry buyout. What is now needed is a sealing industry push to compel the political leadership at the provincial and federal levels to make it a reality. Economic and environmental realities are aligning the interests of sealers and animal protection groups. Canada can move beyond commercial sealing, but only when our two sides stand together with a united message: The government must buy out sealing licenses and fund a transition to new and sustainable industries. When this happens, everybody on both sides will wonder why it took so long to come to such a sensible outcome. CFAWR Challenges P.M. Harper and the Honourable Kathy Dunderdale: Do the RIGHT thing: End the Seal Hunt!! IN THE NEWS: COMING IN FAST AND FURIOUS: IS THERE HOPE FOR THE HORSES???? It’s been a good couple of months for the Science and Conservation Center, a Billings-based nonprofit that develops wildlife contraceptives. The center produces porcine zona pellucida (PZP), which is the active ingredient in a contraceptive vaccine. In February, the Environmental Protection Agency approved the vaccine for use in wild horses, meaning there’s the possibility that demand for it will increase significantly. With the demand for the only EPA-approved wild horse contraceptive vaccine comes the need to produce more, and on Monday, the center got additional good news on that front with the announcement of a $100,000 grant from The American Society for the Prevention of Cruelty to Animals (ASPCA) to help expand its Henry Bergh Training Annex, named after the ASPCA’s founder. “We were very impressed that this very tiny staff could really change how we deal with wild horses in this country,” said Jacque Schultz, senior director of the ASPCA Equine Fund. SAVING AMERICA’S HORSES takes Kansas City Film Fest by storm with it’s powerful and lingering message. The international award winning film made a powerful impact on festival goers in Kansas City and was the film everyone was talking about all week long. “That’s very good for horses,” says Paula Bacon, former mayor Kaufman TX. As anticipation escalated for the film to screen so did nature’s fury with supercell tornadoes shutting down airports and delaying flights. That same perfect storm was heading straight for Kansas City, but it didn’t stop Paula Bacon, (former mayor Kaufman TX) and Dr Lester Friedlander, (former USDA Chief Inspector) from appearing and speaking at the Kansas City screen’s premiere. Festival goers were stunned by Dr. Friedlander’s statements underscoring how federal laws do not protect the horses in the U.S. “USDA vets are pressured by the slaughter plant owners to overlook violations to cruelty laws so they can make more money,” Friedlander said. The horses’ presence was seen and felt everywhere, throughout the festival, with gorgeous life size SAVING AMERICA’S HORSES displays in the lobbies and entryways at multiple festival venues and after parties. The SAVING AMERICA’S HORSES promo spot starring Paula Bacon, Paul Sorvino and Linda Gray played at the top of every movie all week long as excitement mounted for the film to screen. Paula Bacon, one of the film’s lead cast and speakers in SAVING AMERICA’S HORSES is also an Executive Advisory Board member for the film. Dr Lester Friedlander is a cast and speaker for the film project and Katia Louise is the director/ producer of the film. SAVING AMERICA’S HORSES – A NATION BETRAYED is an educational film project under Wild for Life Foundation, a 501 c3 nonprofit charity dedicated to saving, protecting and preserving horses. Voted most popular film in the KC Film Festival, SAVING AMERICA’S HORSES is currently showcasing through festivals and has won multiple international awards. Concerned citizens and horse advocates are encouraged to support the SAVING AMERICA’S HORSES Coast to Coast campaign to help bring this film to public release. The head of the NYPD’s Mounted Unit had three retired police horses put down at a Pennsylvania farm — as shocked veterinarians and animal-cruelty officials watched in disbelief. Capt. Barry Gelbman gave the highly questionable order to fatally inject three of the Finest’s former workhorses while personally supervising the move of 30 police horses from the Abbottstown stable to two other farms, sources said. More than three hundred horses were put down in New Mexico alone in 2009. This story appears in the April 30, 2012 NFL Draft issue of ESPN The Magazine. Subscribe today! TELLER ALL GONE was not a horse of distinction until he was dead. In fact, he was so unexceptional when he was alive, the details of his biography remain hazy. According to the Lazy E Ranch in Guthrie, Okla., the farm where he was born, he was foaled on Feb. 12, 2009, from Algonquin, sired by Teller Cartel and registered with the American Quarter Horse Association as a sorrel gelding. But according to a video once posted online by the ranch, he might have been a she, a brown filly foaled from Check Her Twice. Whatever his gender and dam, Teller All Gone definitely traveled as a yearling from Oklahoma to New Mexico, where he was auctioned at Ruidoso but passed through without a buyer. He went on to run three races at Ruidoso Downs last summer, placing second once, earning $1,570. Here, there is no debate. The money is always exact. 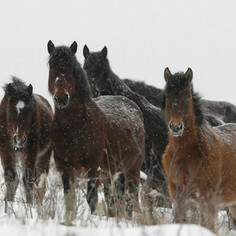 A heard of wild horses in winter. CALGARY — A record number of wild horses were captured in Alberta this year — a sevenfold increase from the average — and many are slaughtered for their meat, said the president of the Wild Horses of Alberta Society. Alberta allows for the humane capture of wild horses, and in the last five years an average of 30 horses have been captured per year. Refuge RR is without water again, please, they need donations, it cost 300$ everytime a truck comes to deliver water, and that lasts only 3 to 4 days so that the animals can drink, now they are without funds and money and the animals have no more water. They get no financial assistance from the government. The ASPCA (American Society for the Prevention of Cruelty to Animals), an AWHPC coalition partner, has given a $100,000 grant to the Center for Science and Conservation in Billings, Montana to support the training of personnel to administer the PZP fertility control vaccine to wild horses.